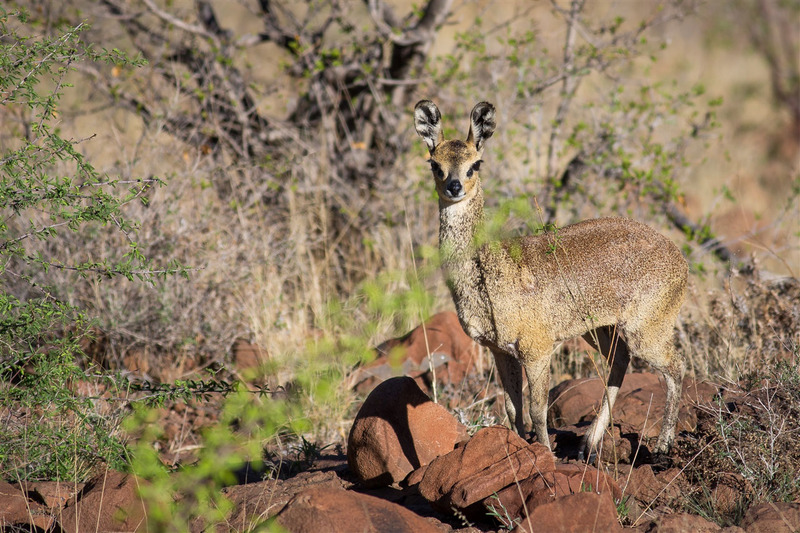 After the slightly mixed experience of the Kamanjab Himba Village, I was really looking forward to the next destination, Twyfelfontein in a region known as Damaraland in Namibia. 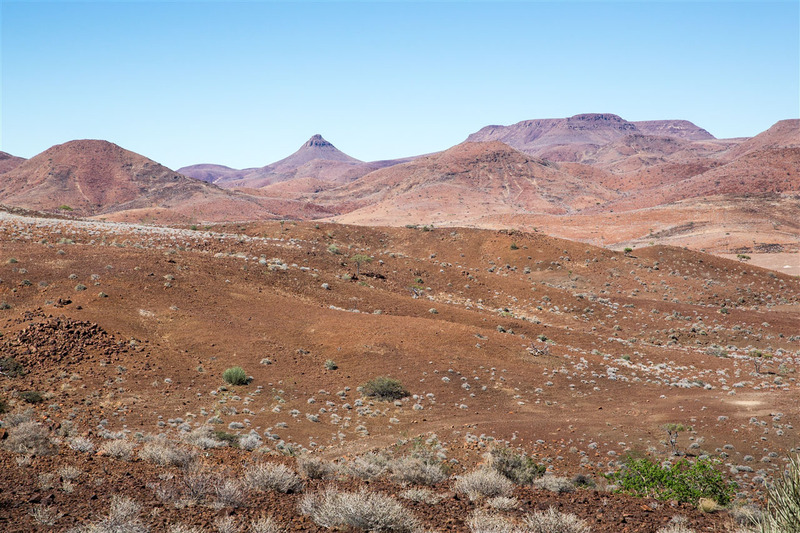 Damaraland is a wild and rugged landscape and is one of Namibia’s least populated areas. It’s extremely arid, on average receiving less than six inches of rain per year, and when I visited it hadn’t rained for over a year. 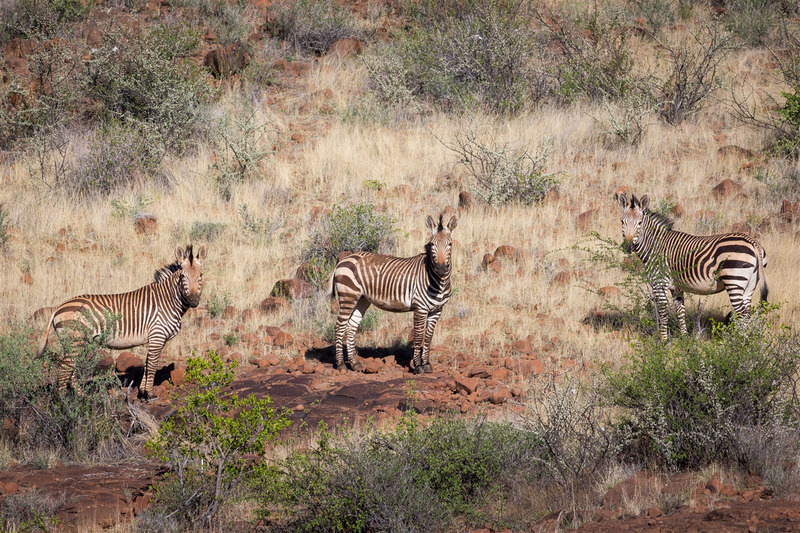 In the Northern Damaraland region there are thriving populations of wild game including gemsbok, kudu, springbok, Hartmann’s zebra, desert-adapted elephant and black rhino. 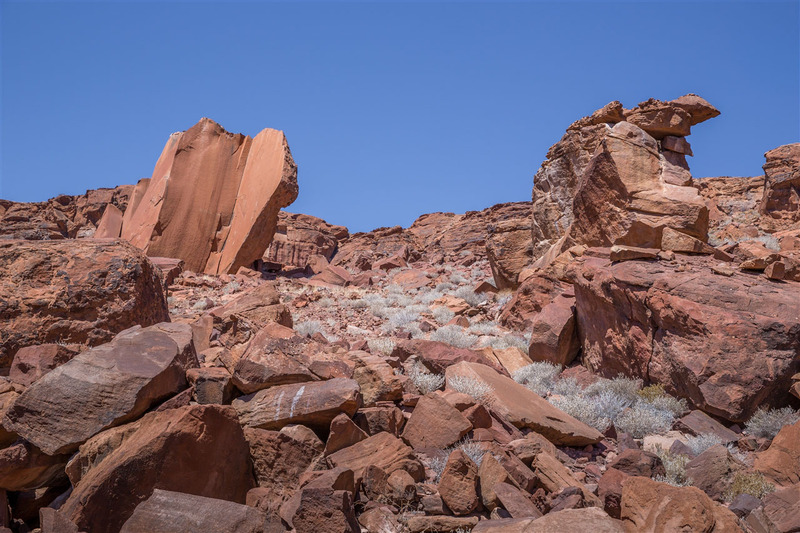 The Twyfelfontein valley was first inhabited by stone age hunter gatherers from 6,000 years ago, and later by the Khoikhoi herders. The valley contains a spring, obviously vital for survival in this landscape. Both ethnic groups used the area as a place of worship, most likely in order to conduct shamanism rituals, possibly associated with the spring. 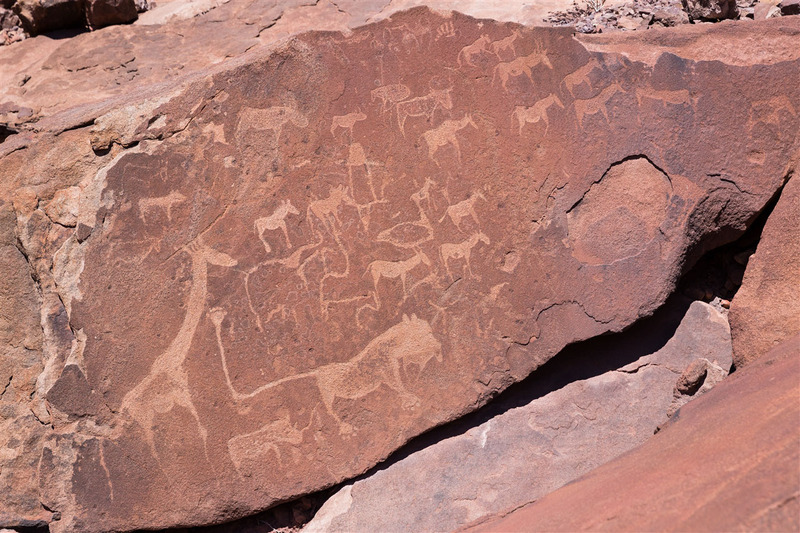 As part of the ritual process, at least 2,500 rock carvings have been created, in addition to a few rock paintings. 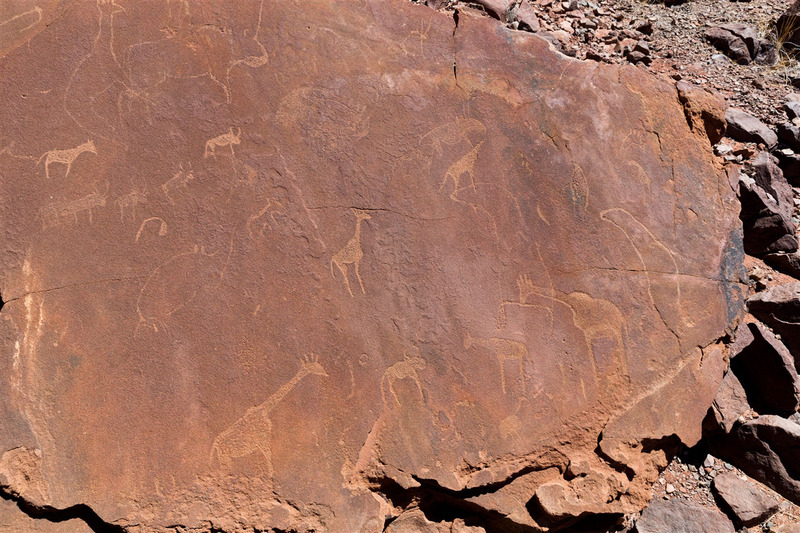 This is the largest concentration of rock petroglyphs in Africa, and became Namibia’s first UNESCO World Heritage Site in 2007. As an amateur archaeologist and having a huge passion for history, this place was right up my street. 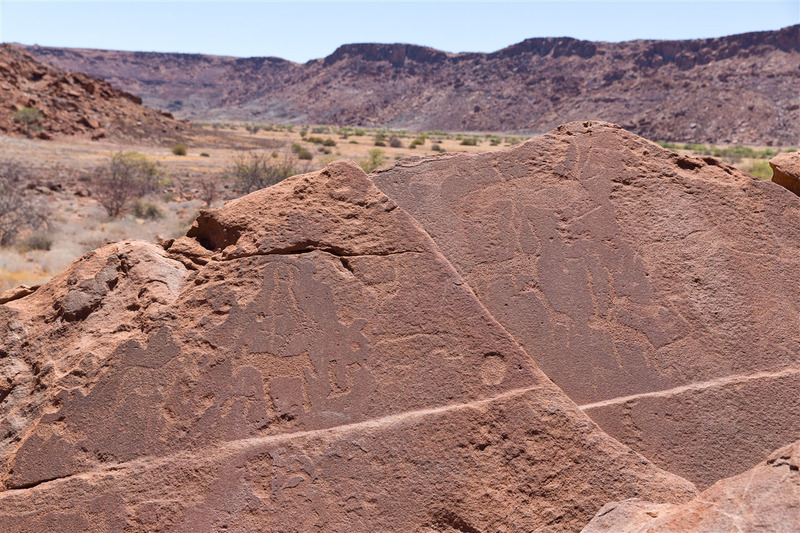 The site is well managed with marked paths leading you to some of the more impressive rock art to be found. Obviously some of them are quite sensitive and fragile, especially the cave paintings which you’re not allowed to see. 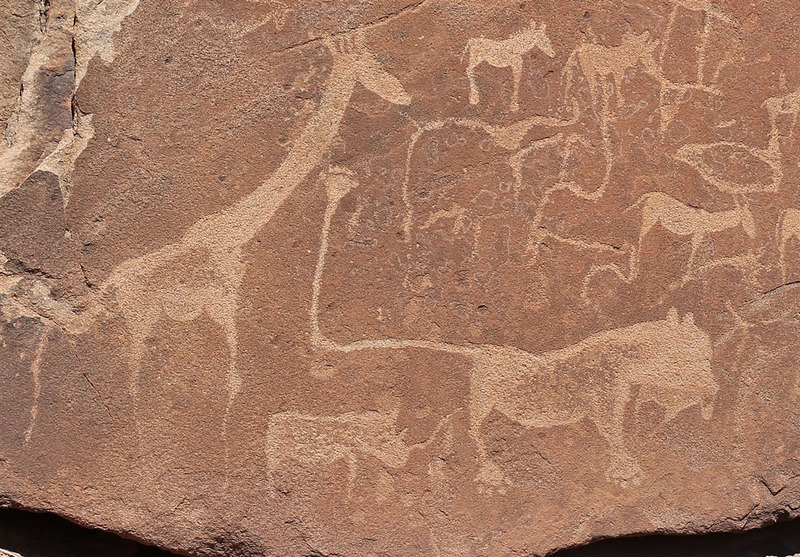 The most visually interesting are of course the iconic carvings, representing animals such as elephants, rhinoceroses, ostriches and giraffes as well as depictions of human and animal footprints. Some of the figures, most famously the “Lion Man” depict the transformation of humans into animals.This transformation and the depiction of animals together with their tracks make it likely that they were created as part of the shamanist rituals. There are also engravings of animals that would never have existed in this area, such as sea lion, penguins, and possibly even flamingos. This could indicate that the hunter gatherers had contact with the coast more than 100 km away. The whole region is so unpopulated and barren I wondered how they managed to get found in the first place. 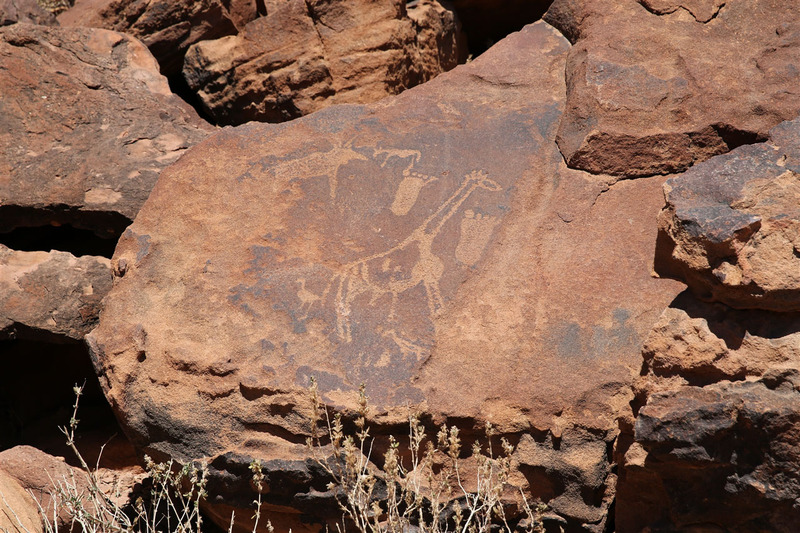 Reinhard Maack, a topographer, first reported the presence of rock engravings in the area in 1921. A more thorough investigation was only conducted after World War II by David Levin, who was studying the feasibility of farming the region in 1947. In the process he rediscovered the spring but struggled to extract enough water to sustain his family and herd. 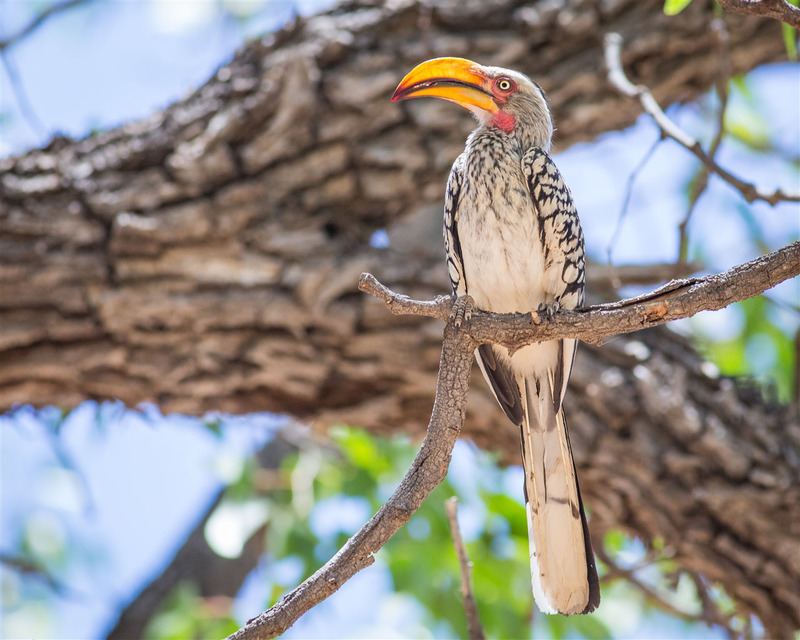 Slowly becoming obsessed with doubts about the capacity of the spring, an Afrikaans-speaking friend began calling him David Twyfelfontein (David Doubts-the-spring) as a joke. 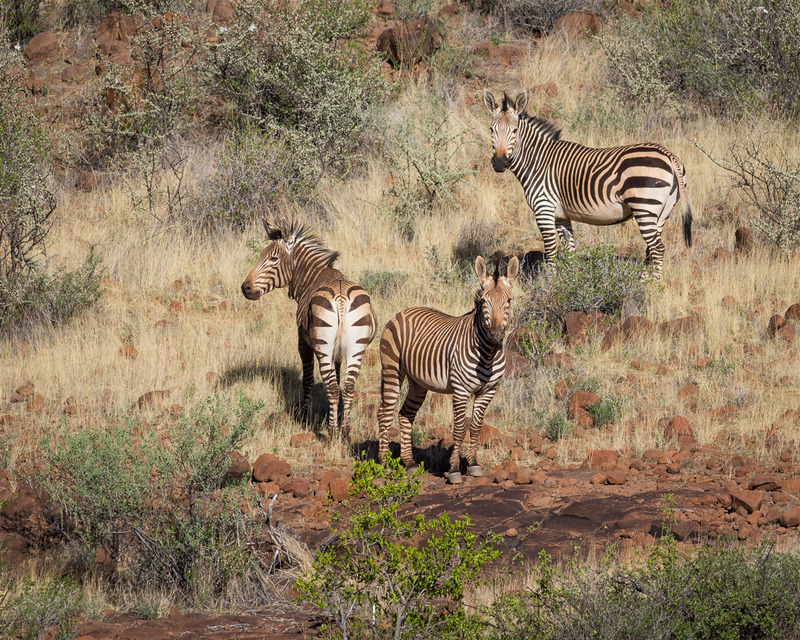 When Levin purchased the land and registered his farm in 1948, he gave it the name Twyfelfontein. While commonly being translated as “doubtful spring”, a more accurate translation for the word twyfel is “questionable” or “uncertain”. In the 1950s a subsequent survey of the area described over 2,500 rock engravings on 212 sandstone slabs. Today it is estimated the site contains more than 5,000 rock carvings. Immediately next to the rock art site are the remains of a petrified forest which is well worth looking at. The name is a little misleading, a forest never actually grew here at all. What you’re seeing is actually an accumulation of enormous fossilized tree trunks about 280 million years old that were washed down a river in ancient times when one of the many Ice Ages ended. 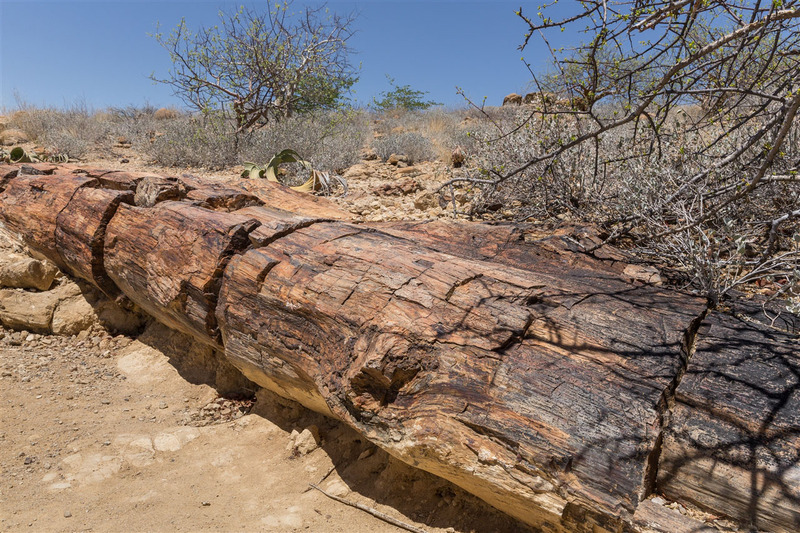 It must have been a huge flood, scientists have discovered that the trees belong to the family of the Cordaites tree, which grew a long time ago in today’s Europe and was the ancestor of firs and spruces. It’s a staggering thought, standing in this landscape in southern Africa looking at trees that came from Europe, it’s a little difficult to comprehend !